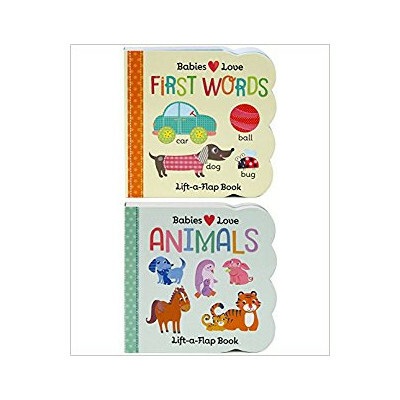 Description: This best-selling sturdy lift-a-flap board books has especially thick flaps for baby to grasp and lift. See and say first words and the names of animals and their babies. Simple sentences reinforce future language structure. Illustrations include patterns and details to hold babys attention.